’18-19 Additional Year JVs from both JVC Northwest and JVC, based in Baltimore at Orientation. 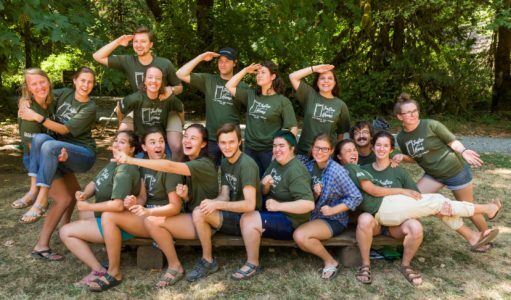 Jesuit Volunteer Corps Northwest welcomes and encourages applications from volunteers wishing to serve for an additional year, whether they served first with JVC Northwest or JVC, based in Baltimore. This is a wonderful opportunity for current or former JVs (at most, one year out) looking to deepen their experience of our four values and are committed to continuing a counter-cultural lifestyle. We are happy to support additional year applicants throughout their discernment processes. If you are currently serving in another service program (faith-based or not, such as AmeriCorps, Lutheran Volunteer Corps, etc.) or if it has been longer than one year since you served as a JV, please fill out the first year application. The 2019-20 Additional Year application is now available! The Priority Deadline to apply is February 19, 2019. We will continue to accept applications on a rolling basis until all positions are filled. If your application is complete by the priority deadline (including references), you will be able to interview and be considered for acceptance and positions before first year applicants. With the online application, you’ll be able to start, save, and resume the application within 30 days. If applying from JVC in Baltimore- your first year application. Please have JVC forward this to program@jvcnorthwest.org. Contact Lindsey Boulais, Recruitment and Marketing Manager, at 503-335-8202 or at lboulais@jvcnorthwest.org.